On Monday all of the pictures that I took were of food. 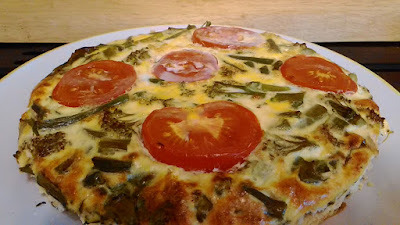 This is my crust less quiche that I will be sharing this week. 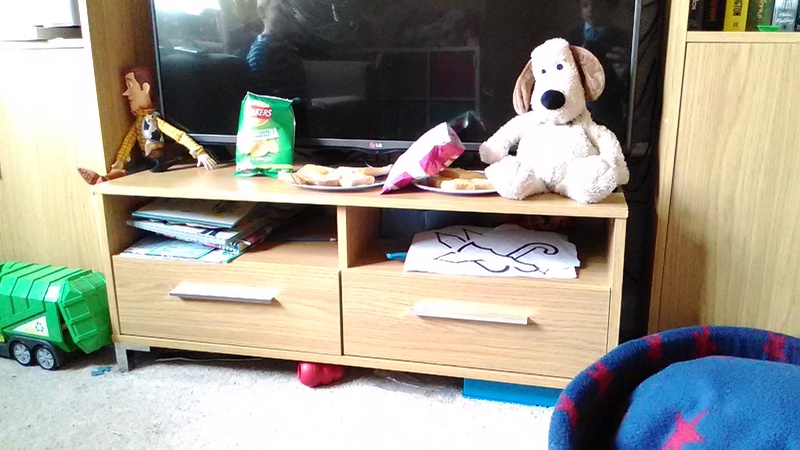 On Tuesday the twins decided to change lunch into a tea party. 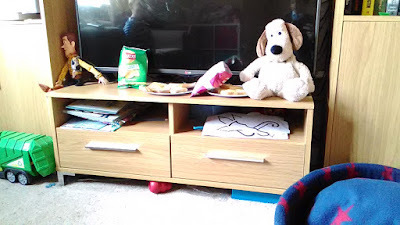 They even set out Woody and Gromit with their party lunches. On Wednesday morning we waved goodbye to Joseph as he went on his first residential school trip. As he was away the hubby and I had a night away in York while my mum looked after the twins for us. 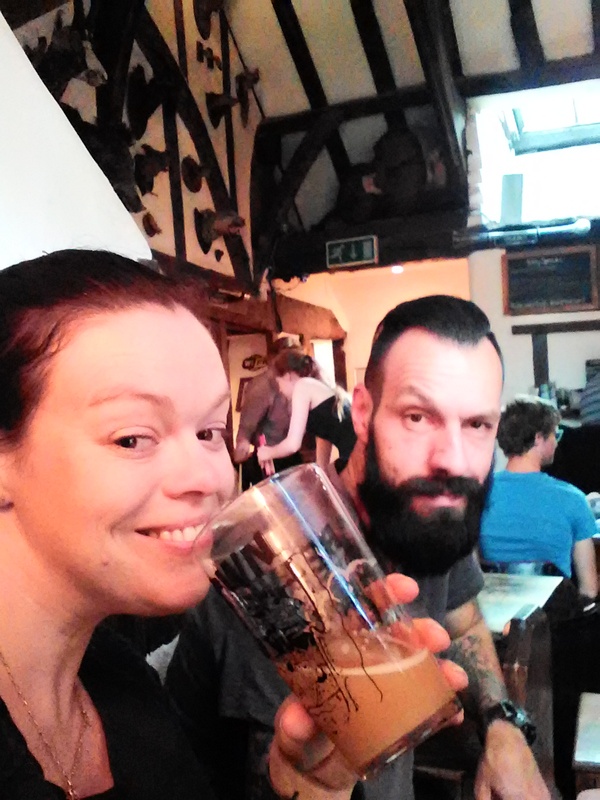 It is not very often we get away just the two of us so it was lovely. When we arrived at lunch time we headed straight for The Trembling Madness for a drink and food. In this picture the hubby was waiting for me to finish my drink so he could get another one! On Wednesday night we went out for a tech free meal. We left both mobile phones in the room and went out for a lovely meal. Afterwards we went for a walk along the river. The perfect end to the day! 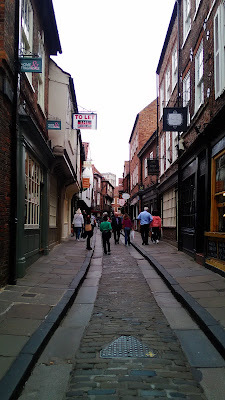 On Thursday morning before leaving York we went for another walk around and ended up near the shambles. We love everything about York but especially how the old world meets the modern world. We are already planning our next trip to York but next time we plan to take the children. On Friday my big boy came home! I have missed him more than I thought I would. We were all so pleased to have him back home. After collecting him from school we all went out for dinner at Pizza Hut as a treat. Saturday was a glorious day so the morning was spent gardening. I cut the grass while the hubby did other jobs. We also harvested our first strawberries of the year! Fab photos! It looks like you had a lovely time in York! scary how quick they grow up and go away on school trips, hope he had a good time. Fifi is away on a guide camp this week. Nice to get away for some adult time, well done to your mum for having them for you. I have never been to York. Glad you were able to have a night out for yourselves. 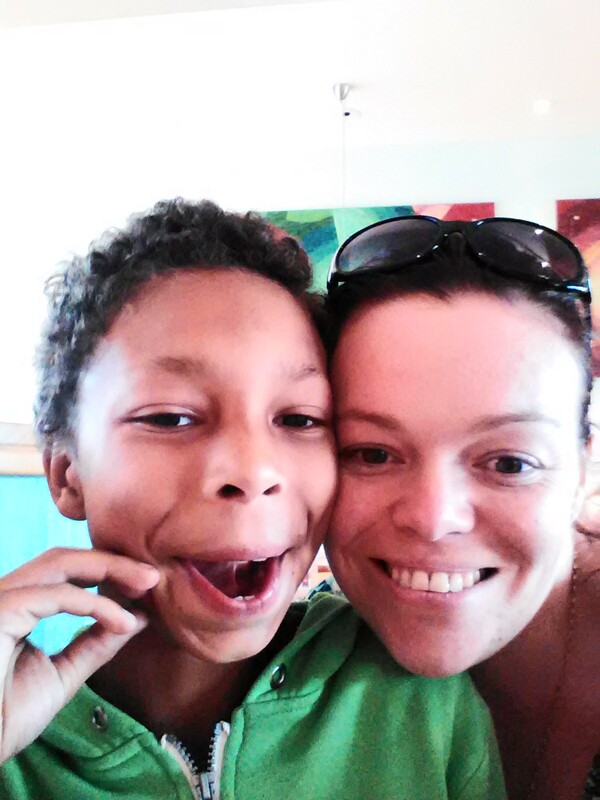 Hope your big boy enjoyed his residential. 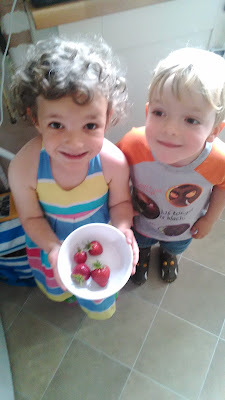 We aslo have been picking strawberries in the garden, and even first tomatoes of the season. Very jealous of your couples time away, it sounds bliss! Love the last photo of the twins, so cute! 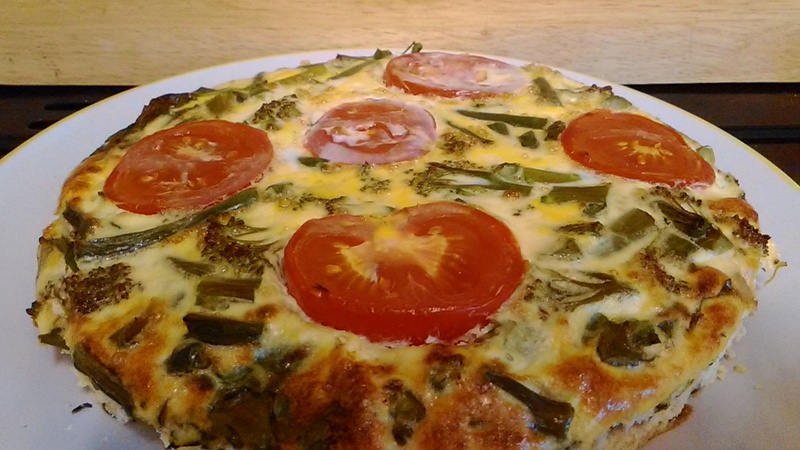 i love crustless quiches - great for slimming world followers.